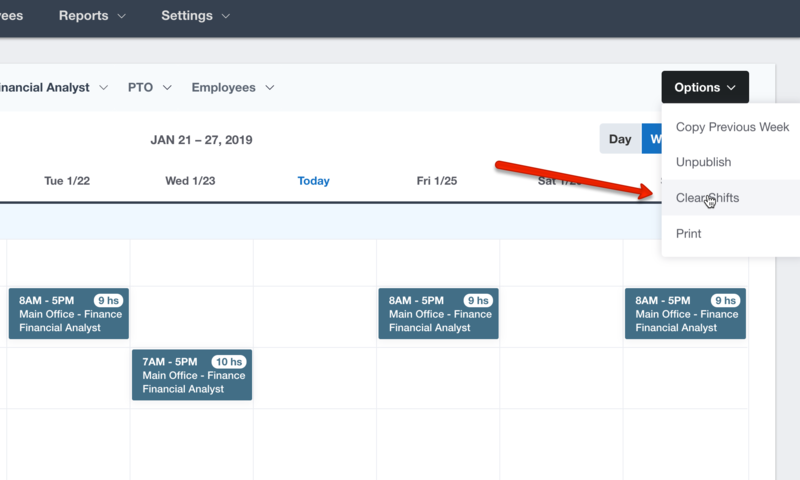 If you need to delete a shift, you can do so from the schedule page. There are two ways that you can delete a shift. The first is by clicking on a shift and selecting the Delete button. A pop up will ask if you're sure you want to delete the shift as doing so is irreversible. 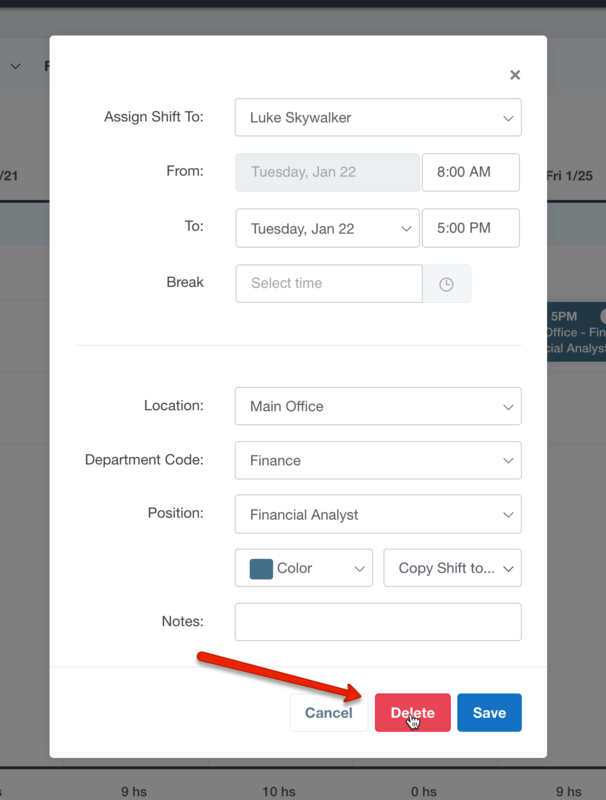 If you need to delete multiple shifts at once, you do so by changing your view to only include the shifts you want to delete, and clicking the Options dropdown and selecting Clear Shifts. Again, you'll see a pop up asking if you're sure you want to delete the shift(s) as doing so is irreversible.